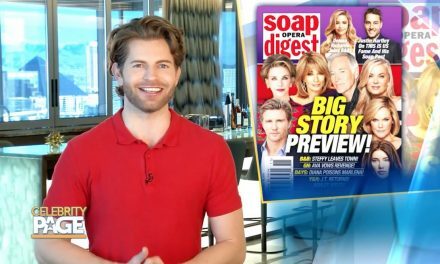 We are partnering up with Soap Opera Digest to give you the latest daytime TV news. On this week’s Soap Opera Digest, Editorial Director Stephanie Sloane gives us the inside scoop on Katrina Bowden, Sasha Calle, and Brandon Barash’s first day on their new shows! Photo Courtesy of TV Trend Now. On Katrina Bowden’s first day of The Bold & The Beautiful, she had more lines than she initially expected. She told Stephanie that it was unlike anything she had ever seen or done before. Photo Courtesy of Soap Opera Digest. Brandon Barash also spoke about his new role on Days of Our Lives. The star, despite his familiarity with daytime TV, said he still had some nerves during his first day on set. Once the cameras started rolling, however, Barash settled right into his new role. Make sure to pick up your copy of Soap Opera Digest for all of your soap opera news! PreviousWhy Did Will Smith Turn Down ‘The Matrix’?